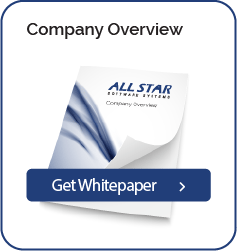 In many ways, All Star Software Systems has already done the preliminary evaluation of the various products that you – our customers/prospects – may be evaluating. Our due diligence to select the best products to sell, implement and support pertaining to business process automation solutions has given us a huge amount of experience with many products in the industry. We believe we have chosen the best products in the associated technology stacks to provide solutions that are scalable, able to be integrated with line of business systems and are primarily point and click configurable. For almost 30 years, Oracle has been helping customers manage your business systems and information with reliable, secure, and integrated technologies. Today, Oracle is the largest business software company in the world, with 345,000 customers—including 100 of the Fortune Global 100—and supports these customers in more than 145 countries. For more than 20 years, Lexmark-Kofax has provided award winning solutions that automate document driven business processes by managing the capture, transformation and exchange of business critical information arising in paper, fax and electronic formats in a more accurate, timely and cost effective manner. Established in 1991 and headquartered in Cleveland, Hyland Software Inc. strives to provide organizations with the tools and vertical expertise to become a paperless operation that is more efficient and effective. Developer of the award-winning OnBase enterprise content management (ECM) suite, Hyland is a customer-driven organization committed to service and support that goes beyond customer satisfaction. The PaletteArena products provide customers with ample ways of achieving significant and measurable cost savings as well as efficiency gains in the processing of supplier invoices and purchase orders. Palette replaces the physical flow of paper by distributing invoices and purchase orders electronically. Also, utilizing straight-through processing, manual checking and controls are limited to a minimum enabling accounts payable staff to free up time. PaymentWorks enables large and mid-sized companies to exchange information securely with suppliers to ensure efficiency throughout the invoice to pay process. Our ERP-agnostic, cloud-based software is quickly deployed and set apart by EnterpriseConnectSM, a networking model that achieves rapid, organic supplier adoption. With most e-invoice, e-trading and EDI service providers, technical, process and financial barriers impact the success of supplier adoption. CloudTrade removes the barriers to electronic invoicing for suppliers. More paper is removed, in a shorter time frame than any other e-invoicing approach. Lexmark-ReadSoft creates and markets software for Document Automation. This means automating document processes like data entry, information verification, document workflows, e-invoicing etc. The Lexmark-ReadSoft brand stands for constant innovation. Based on customer feedback, Lexmark-ReadSoft has created a unified product platform which can handle all incoming documents and exchange information easily with other business systems. This is what Lexmark-ReadSoft Document Automation is all about. From standard document capture and forms processing to unstructured data extraction, Lexmark-ReadSoft is always at the forefront of innovation. Lexmark-Brainware helps the world’s leading companies automatically extract, process, and retrieve data from any source. The Intelligent Data Capture solutions virtually eliminate manual data entry while the Enterprise Search solutions allow you to stop searching and start finding which leads to increased productivity and total control. A Lexmark-Brainware solution will decrease manual data entry by 60 – 80% or more and significantly increase your access to critical information. EMC provides the technologies and tools that can help you release the power of your information. EMC technology can help you design, build, and manage flexible, scalable, and secure information infrastructures. And with these infrastructures, you’ll be able to intelligently and efficiently store, protect, and manage your information so that it can be made accessible, searchable, shareable, and, ultimately, actionable. With over 23 years of experience, Biscom is trusted by millions of users at over 3,000 companies worldwide. One of the original developers of computer-based fax, Biscom continues to deliver innovative solutions that solve business problems. Biscom has kept its focus on helping customers realize the many benefits of fax, fax processing workflows, and secure document flow. Biscom’s solutions are known throughout the industry for their scalability, flexibility and reliability. Crawford Technologies is an award-winning, global provider of high-value solutions for high-volume documents. We have helped over 1,800 organizations around the world reduce their costs, simplify their processes, and streamline mission-critical customer and transactional communications across all channels and formats. Autonomy Cardiff with its innovative Intelligent Document platform is a leader in providing solutions that unify people, paper and process. Autonomy Cardiff leads in the human-centric business process management (BPM) and content capture space with over 8000 customers across all industries. It has received numerous accolades and recognition by the market since its inception in 1991. Microsoft is motivated and inspired every day to find creative solutions to business problems, develop breakthrough ideas, and stay connected to what’s most important to every customer. Microsoft is committed to the mission of helping customers realize their full potential and to continually evolve the company to be in the best position to accelerate new technologies as they emerge and to better serve customers. Fujitsu Computer Products of America, Inc. (FCPA) is an established leader in the document imaging market, featuring state-of-the-art scanning solutions in the workgroup, departmental and production-level scanner categories. Fujitsu scanners deliver speed, image quality, and great paper handling, along with easy integration and compatibility with over 200 document imaging applications. BÖWE BELL + HOWELL Scanners (BBH) eat, sleep and breathe scanners. That’s how BBH manages to make some of the most reliable, productive and easy-to-use document scanners in the world. BBH recognizes that every organization has different business goals and therefore, different scanning needs. What’s more, we know that those needs can change. We consider this in designing products that are versatile, feature-rich and long-lasting. Kodak’s Document Imaging business is the industry’s leader of innovative document capture products, software and services. Kodak has the broadest portfolio of document capture products, software, capture-based solutions, and service and support to provide the most easy to use, accessible, scaleable, and affordable solutions for its customers to better capture, manage, archive and deliver critical business information.